James Barker is a Halliburton Technology Fellow and the technical chief for Perforating Technology at Halliburton’s Jet Research Center division at Alvarado, Texas. His work is focused on the development and testing of perforating systems, especially in the areas of specialty explosives and thermal decomposition kinetics. His further work at Jet Research Center encompasses explosive safety, process safety management, and regulatory compliance. James has over 36 years of industry experience and has held various engineering and engineering management positions during his career. In addition to perforating systems, his broader technical background includes the development of downhole completion equipment and cased-hole wireline tools. James holds a BS degree in Nuclear Engineering and an MS degree in Mechanical Engineering from Texas A&M University. 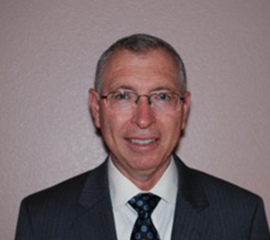 He has received over 30 patents related to explosive devices and downhole oil tools, has published and presented papers, and serves in leadership roles in several technical organizations within the explosives and oil & gas communities including Board of Governors and Steering Committee for the Institute of Makers of Explosives; Director and Secretary for the International Perforating Forum Company; co-chairman for the 2016 International Perforating Symposium; and co-chairman overseeing the revision of the API RP67 document, Recommended Practice for Oilfield Explosives Safety.